Fast Spanish translation services, How to get it at low rates? 21 Mar How to get fast Spanish translation at low rates? 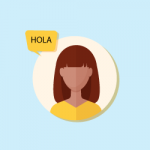 Fast Spanish translation, in this post we tell how it works. Speed is everything in today’s world. Two people in the world can have the same idea at the same time but the one who goes ahead with it and executes it in time will get the recognition while the other person will never be known by anyone. A moment’s delay can make people miss their flights. The difference of a second can cause people to lose millions. Those who get things done on time succeed in life while those who are always late everywhere end up nowhere. The internet has brought revolutionary changes in our lives, but it has also made us lazy. People nowadays think procrastination is a cool thing and they keep putting off work until the last minute. Unless you have an emergency, it is never okay to postpone work. Those who do not value time cannot hope to achieve great things in life. When a company fails to deliver products on time, it loses its credibility. The same happens to the services who take too long to facilitate people. If someone needs an internet package straightaway so they can send an important email, they should be able to get it. But service providers that lack a proper understanding of the importance of time sometimes take too long to help people and that force their customers to look the other way. There are many instances when you might need an urgent translation. If you have to submit an admission application to a foreign university and you have discovered just 24 hours before the deadline that you need a translation of your academic documents then you will be in search of a translation agency that can provide you a translation before the deadline. The same can also happen when you are applying for immigration. Businesses can also need urgent translations when they are launching a new product and want to launch it at the same time everywhere. For whatever reason you need a fast translation, you should be able to get it. Spanish has the second most native speakers in the world. It has over 437 million native speakers. 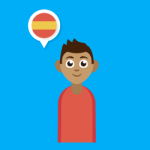 If you are trying to launch your business in a Spanish speaking country or applying for a visa there, you will need Spanish translation. If you need fast Spanish translation, then you must be cautious of the translation agencies that offer fast translation at high rates. Fast Spanish translation is available at low rates if you know which translation agency to contact. Professional translation agencies like the Live Document Translation agency can provide you with highly accurate Spanish translation at extremely affordable rates. If fast Spanish translation is available at low rates, then there is no reason why you should pay a huge sum to get urgent Spanish translation. You need to look for translation agencies with a good client base and excellent reputation. Such agencies will not take advantage of your situation by charging you a high rate for simple translations. These agencies can provide you with all kinds of translations within 24 hours without charging you a large amount of money. Any questions? Live chat with us now!